The Intro to Yoga series is made up of 6 classes, 2 one-hour classes per week for the duration of three weeks, with each class building upon the next. If you have never done yoga before, then this is a great place for you to start. Can you attend the series if you have practiced yoga before? Of course you can! The class is open to all ages and levels of experience. It would also be a great choice for any yogi who wishes to re-acquaint him or herself with the fundamentals of yoga, or for someone who is considering attaining yoga teacher certification in the future. 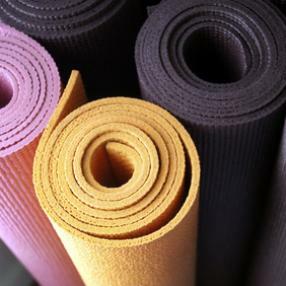 Each class will explore yoga in a fun, safe, and comfortable, judgement-free environment. The format is open, so students are encouraged to ask questions as the class moves through different yoga poses, meditation, and breathing techniques. The hope of this series is to prepare new students to take open-level or level 1 classes with confidence, body awareness and familiarity with prop-use and sanskrit terminology.